On May 22, 2018, an accident caused the roof of Hale Library on Kansas State University’s campus to catch fire, causing substantial damage throughout the building. In addition to the damage caused by the fire, water used to extinguish the blaze (more than 640,000 gallons) caused significant damage to every floor of the building. A massive recovery effort began to remove more than 1.4 million items from the building. This included 147,400 boxes of books. And while preservation of damaged books and historic murals in the library continues, the process of rebuilding has begun. 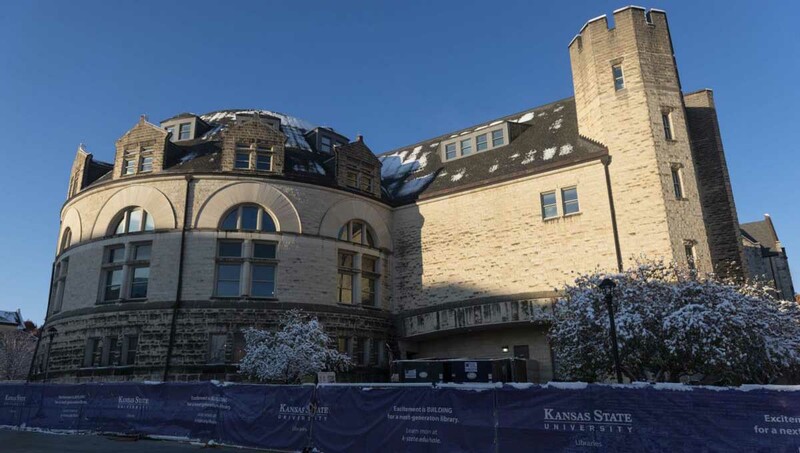 Hutton is working with Kansas State University and PGAV Architects to complete the remodel of Hale Library. To read more about the status of the recovery, check out this article from The Manhattan Mercury. To read regular updates on the progress of the project, read the Hale Library Blog.